* Total number of reviews and star-ratings are based on data collected during the time period Key Heating & AC has been using the ReviewBuzz system and may not directly match the data found on each public review site. 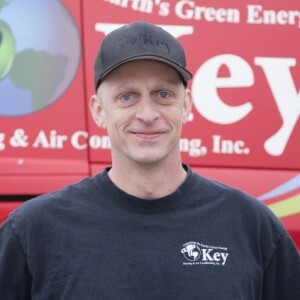 We had a great experience using Key to install a new furnace, heat pump and duct work to our home. Everyone from the office staff to the field guys were very responsive to all of our questions prior to the installation through completion. Jon presented us with several options for heating and cooling and explained the pros and cons of each, helping us make the right choice for our home. We would definitely recommend using Key Heating and Cooling! Thanks guys!! Keith P was fantastic. Very personable and extremely knowledgeable. I had double trouble - furnace fan had died, as had the hot water pressure valve. He explained everything in layman’s terms and though he had to leave and return with another part several hours later, he was just as pleasant at the end of the day as he was when he walked in the door that morning. 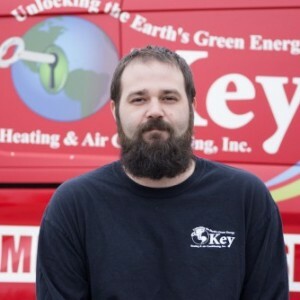 Would totally recommend Key Heating & AC in general and Keith P in particular. 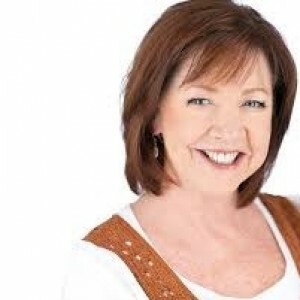 In addition, the office staff is terrific - both Laurie and Karen were wonderful. Walter was pleasant, professional and prompt! Diagnosed the problem quickly and the repair was done ASAP. We have a geothermal system that requires a different diagnostic skill set from our oil based system. 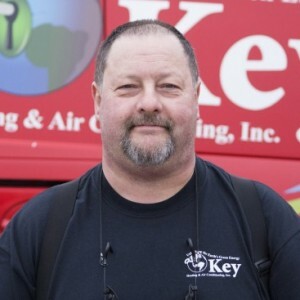 Key technicians have this knowledge and are always able to answer questions. Walter was punctual, knowledgeable, and was able to resolve our issue quickly. He didn't seem to mind me observing his work and asking questions, which was nice. He clearly explained the issue, how he resolved it, and a plan of action to move forward. Fabulous work! Great Customer service. I highly recommend to anyone. Do yourself a favor and call them. Don’t waste time with anyone else. Keith P. Was amazing and will be looking forward to seeing you in the fall. Keys Heating & AC were fabulous when installing our new central AC. They are professional, courteous, and very pleasant to have in our home. I would recommend them to anyone. They are punctual and kept me continuously updated on their progress. It was a pleasure to work with them. Great service. Keith didn't just replace the part, he even explained to me how my furnace works. Keith did a wonderful job explaining what was going on with my furnace. Taking the time to go over how when hearing loud banging noises from the furnace means there is air in the lines. Keith was quick to fix this problem and pointed out some potential parts should be replaced at the next cleaning. Very please. Scheduling Dept. was very quick to get me scheduled for an appointment too. Great team work all the way around. Matt the installation tech was prompt, courteous and efficient and was able to get my system installed in the 2 days I was told to expect. Walter was quick to get out to our house to diagnose and repair our system. He has done so in the past as well. We will choose his company again in the future when we need servicing. Key Heating and Air Conditioning recently installed a new propane heating system and heat pump at our house in New Hampshire. Our primary residence is in Pennsylvania so there was a need for close communication throughout the process. Key staff were excellent at keeping us informed of the equipment delivery and installation schedule and everything went according to plan. The actual installation of the new system required nearly a week of work. Matt B, our installation manager and his staff were professional, hard working, well organized and very good at communicating the progress of the project. They also did a great job at explaining the operation of the new systems and were keen to insure that we understood how to operate everything. In addition they were all very respectful of our home and took care to clean as the job progressed. From the office staff through to the service staff everyone involved with our project was professional, very well spoken and attentive to our concerns along the way. We are very happy with the finished product and would recommend Key HVAC without reservation. I was so glad that I called Key. The women in the office assured me that they would be able to help me. Keith came and took time to explain everything that he was doing and just what had gone wrong with my system .He had it up and running in no time. The prices are reasonable and the staff is excellent. Matt B was very professional with his install of my Mitsubishi Split AC. Worked with me on location of both units and kept wiring and piping out of view in living area and up and out of the way in the basement. Matt offered but I didn't really need operational instructions since I had a 3 year old unit in my previous home. He was friendly and easy to deal with. He also completed the project in a timely manner, and did a good job with cleanup when done. I would recommend him and Key to anyone looking for a residential HVAC job. Jim M.
All personnel from the folks that provided the estimate, delivered the new furnace, installed it and took away the old furnace were friendly, courteous, answered our questions and very competent. The office personnel especially Julie worked diligently to keep us up to date on times for delivery and pick up. 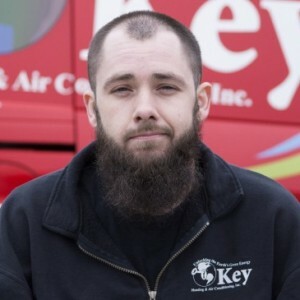 Customer service is always a top priority at Key Heating & AC. Our BBB Membership A+ rating is like a badge of honor as we continuously strive to provide the best experience for our clients.